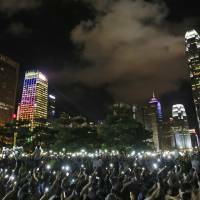 BEIJING/HONG KONG - Prodemocracy activists vowed on Sunday to bring Hong Kong’s financial hub to a standstill after China’s parliament rejected their demands for the right to freely choose the former British colony’s next leader in 2017. The Standing Committee of the National People’s Congress endorsed a framework to let only two or three candidates run in the 2017 leadership vote. All candidates must first obtain majority backing from a nominating committee likely to be stacked with Beijing loyalists. The relatively tough decision by the NPC — China’s final arbiter on the city’s democratic affairs — makes it almost impossible for opposition democrats to get on the ballot. The Occupy movement said in a statement that “all chances of dialogue have been exhausted and the occupation of Central will definitely happen.” It gave no time frame for its action. Political reform has been a constant source of friction between Hong Kong’s prodemocracy movement and the mainland since Britain returned the city to China 17 years ago. 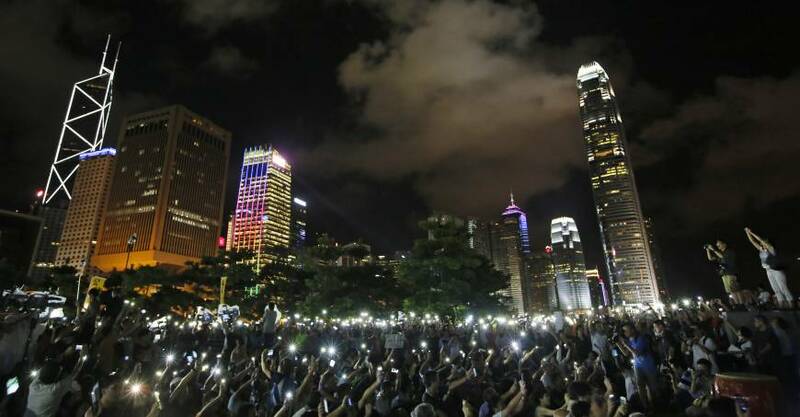 “We understand that the Aug. 31 announcement is just one step in an ongoing process leading to a final decision on election reform in Hong Kong and will continue to watch as the process unfolds,” the official said in Washington. The proposed electoral framework will still needs to be approved by two-thirds of Hong Kong’s 70-seat legislature. With prodemocracy lawmakers holding more than a third of the seats, the proposal will likely be shelved. Some key members of the prodemocracy movement, including media magnate Jimmy Lai, have also come under pressure in the run-up to the Chinese parliamentary decision.